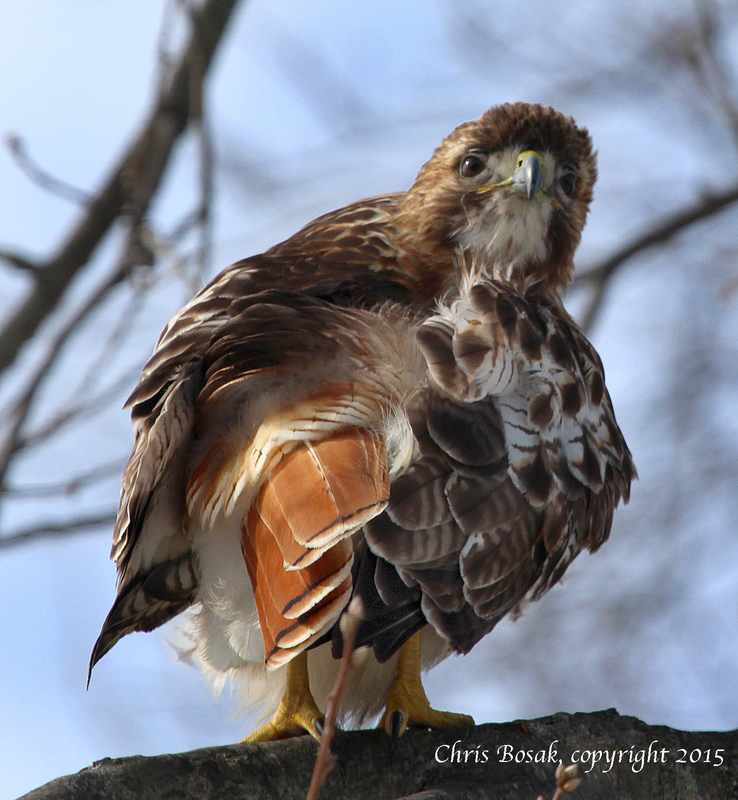 A Red-tailed hawk preens at Weed Beach in Darien, Conn., January 2015. Here’s the second post about the Red-tailed Hawk I found at Weed Beach in Darien, Conn. the other day. The previous post explains the story, so here’s the photos of the impressive bird without the wind blowing its plumage.It is, however, preening and then looking back at me menacingly. 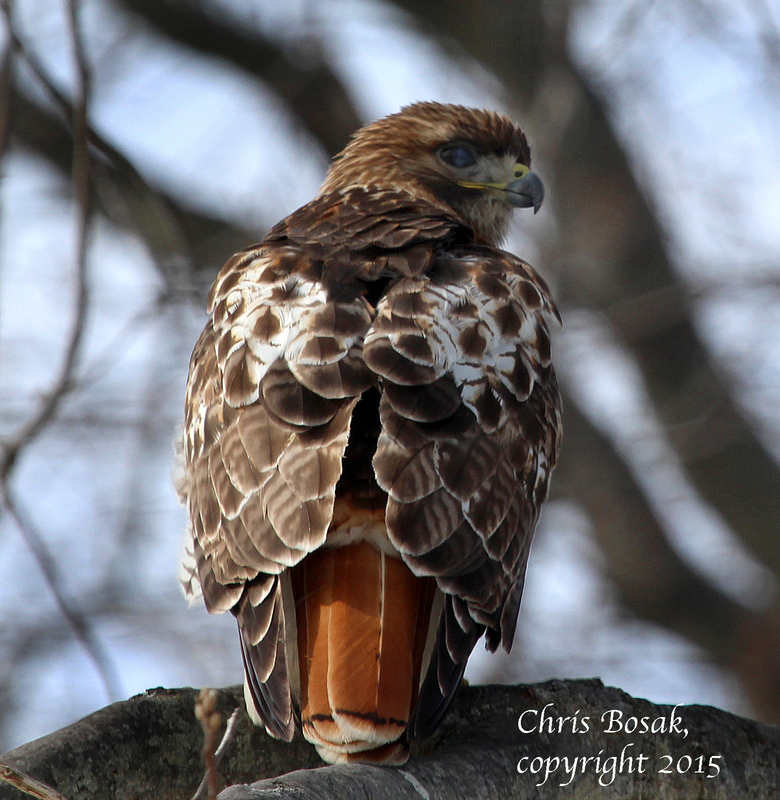 A Red-tailed hawk at Weed Beach in Darien, Conn., January 2015. 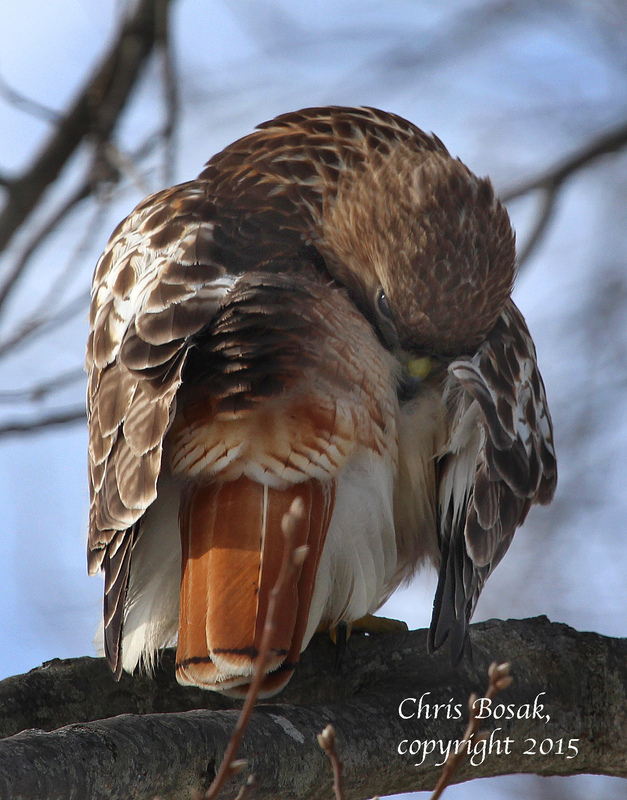 This entry was posted in Birds of Prey, Hawks, Uncategorized and tagged chris bosak nature photographer, red-tailed hawk, red-tailed hawk preening by Chris Bosak. Bookmark the permalink.